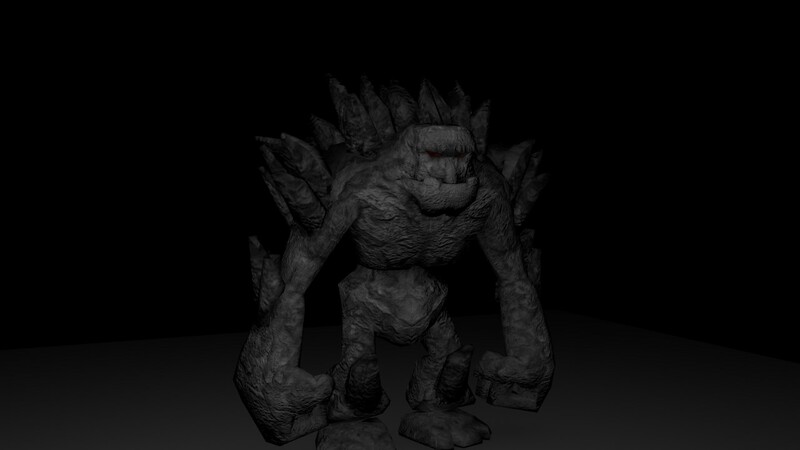 Hello, I've made a revision of umask007's golem. it's been retextured and reanimated for use in the OpenDungeons project. Wow, those animations are slick! And there's a ton of them too. Thanks! I'm a big proponent of giving users of the art piece as many options of as I can... well, that and love animating. Update: made some improvements to the texture. Very awesome work! Love it, the animations seem flawless and look precise. Hey, this looks awesome. I can't seem to get the textures to work. I opened in blender, exported as .fbx, and tried to use it in Unity. Is there anything specific that I have to do that I'm missing? Wow! Very nice. I'm using this as a placeholder monster in my game as I develop it, but I think it's very possible I'm going to find a reason for it in the final story line, it's so well done it would be a waste not to! Thanks a lot for posting this, it's been a big help for me sorting out animated actors in Panda3D. Edit: Hey i noticed when i export from blender the animation seems to have some vertex weighting issue where theres too many weights for a bone, in the engine i'm using (panda3d). To fix that, I run the clean filter over the vertex weights and it removes all the zero weights, which fixes it right up. I thought i'd make mention of that in case it saves anyone else some aggravation! I'm using this as a temporary asset for prototyping, and I need to say that this is so cool model with all of its animations. The FBX animations are of center when I import them to Unity - any solution? Anyone managed to get a FBX out of this (or Collada) and could share? Despite my efforts, FBX I export only has half of the idle animation and none other animations.